Indian-American Senator Kamala Harris criticised Trump and called the shutdown a "crisis of the President's own making". 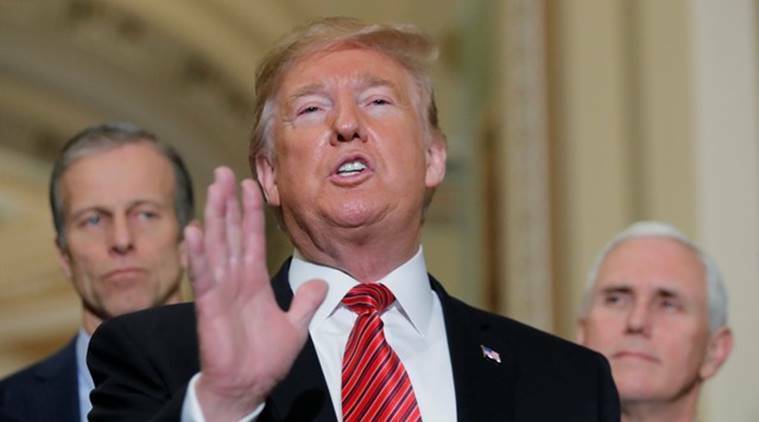 Two Indian-American lawmakers have criticised US President Donald Trump for his plans to declare a national emergency to build a wall along the Mexican border that has led to a partial government shutdown. Ro Khanna, the California Democrat, in a series of tweets talked about the implications of the shutdown and how it is affecting Americans as the partial government shutdown entered 19th day on Wednesday, making it the second-longest in the US history. Indian-American Senator Kamala Harris also criticised Trump and called the shutdown a “crisis of the President’s own making”. “American people deserve better leadership than they are seeing under this President, stating that the shutdown has thrown lives into chaos,” Harris, the daughter of immigrants from India and Jamaica, said. Khanna and Harris’ remarks comes a day after Trump in a primetime address to the nation appealed to the American people to pressure legislators to fund the border wall he wants and end the government shutdown. In December, Trump said in an Oval Office meeting with top congressional Democratic leaders that he would be “proud” to shutdown part of the government in service of forcing Congress to give him the full USD 5.7 billion he wants for a border wall. The building of wall along the Mexican border was central to Trump’s presidential campaign to prevent entry of illegal immigrants. Democrats and some Republicans have rejected Trump’s demand for the US-Mexico border.